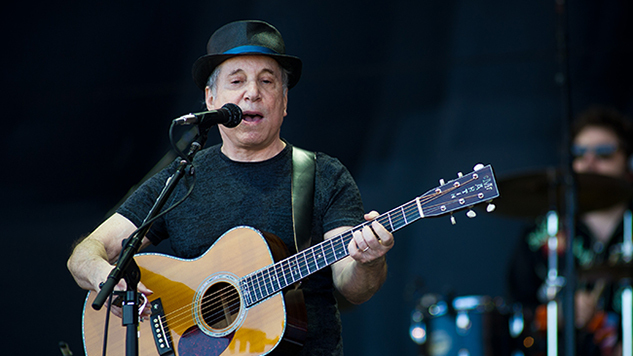 Paul Simon set out on his Homeward Bound farewell tour in May, but the famed singer-songwriter isn’t quite done yet. To coincide with the final leg of his tour, Simon will release his 14th solo studio album, In the Blue Light, via Legacy Recordings. The 10-track collection features reworked versions of songs from across Simon’s extensive catalog. In the Blue Light is produced by Simon and Roy Halee, and will feature contributions from artists like trumpeter Wynton Marsalis, guitarist Bill Frisell, drummers Jack DeJohnette and Steve Gadd, and others. The album is set to be released on Sept. 7 and will coincide with the final leg of Simon’s tour, the last stop of which is on Sept. 22. You can preorder In the Blue Light here. You can check out the tracklist and artwork, a behind-the-scenes video with footage from the making of the album, and a 2008 Simon performance from the Paste archives below.